Joanne and I took a road trip last week through the South. 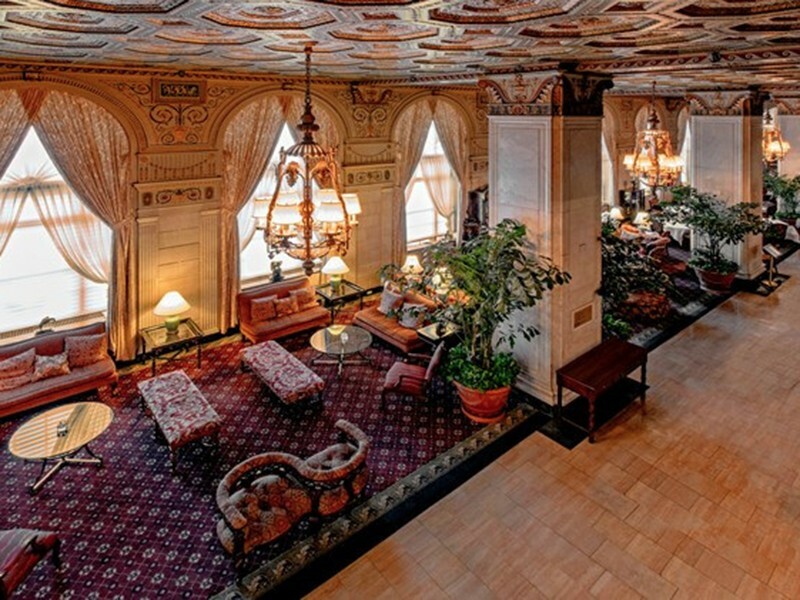 One stop was Louisville, Kentucky and its Grande Dame hotel, The Brown – home to the Mint Julep, all kinds of bourbon and one of the world’s great sandwiches (more on that in a moment). This was my second trip to Louisville, the first being when we opened a Buca di Beppo restaurant there, maybe 15 years ago. I felt that I had to return. On my initial visit, I was very conscious of Louisville’s standing as America’s bourbon capital, and I felt it was my patriotic duty to partake in the city’s boozy side. So we booked our room at The Brown and made dinner reservations at its famous second-floor restaurant, The English Grill. We arrived early for dinner and took our place at the bar. Something about the setting made it go down so smooth. So I ordered another Maker’s Mark. Four fingers. Straight up. For a total of a half pound of bourbon in thirty minutes. That’s when the lights went out in Louisville. Did I have dinner? Joanne says yes. I wasn’t so sure. So it was back to the Brown. The English Grill is beautiful… in an “old school” sort of way. It’s very proper, very British in feel, with well-spaced tables, friendly and efficient service. Southern hospitality DOES EXIST, and it’s even better with an English veneer. The food? Proper and tasty iterations of cuisine from another time; well-prepared and beautifully plated. 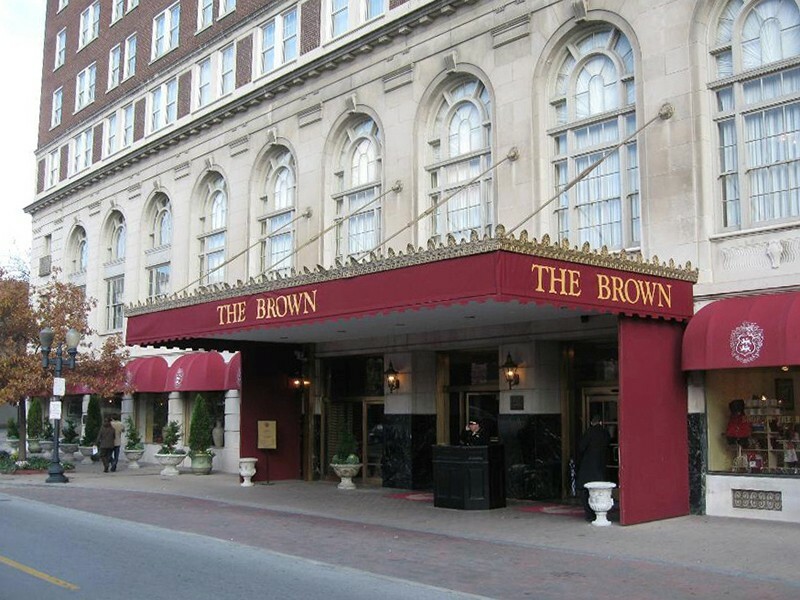 But when I think of the Brown Hotel, one dish is top of mind, and only one: THE HOT BROWN: a delicious and artful assembly of turkey breast served open-face with bacon, cheese and Mornay sauce, served on a brioche. Created in 1926 by the hotel’s chef, Fred Schmidt, the Hot Brown was conceived as a late night meal that the dancing and drinking crowd – up to 1200 of them on a weekend night — could enjoy after last call; basically, a fancier alternative to ham and eggs. Schmidt is said to have been inspired by Welsh rarebit, but he felt the addition of sliced turkey breast (then viewed primarily as a holiday dish) would elevate it as a menu offering. And to make the dish even more memorable, he added crispy bacon, heavy cream, Mornay sauce, Pecorini Romano cheese and Roma tomatoes, all stacked on a buttery brioche and broiled until bubbling. Today, the Hot Brown remains as popular as it ever was. In fact, on the recent three-day Derby weekend, the hotel served 1200 of them. I’m here to tell you: it’s as wretchedly delicious as it is caloric. If you ever find yourself in Louisville, you shouldn’t miss it. But do yourself a favor – order your Hot Brown with a Diet Coke instead of half a pound of bourbon.